Temporal Narratives was displayed at the Germantown Performing Arts Center in Memphis, TN during the month of January 2018. The exhibition was organized by Yasmine Omari and co-curated with Andrea Morales. See below for more information on this past exhibition. 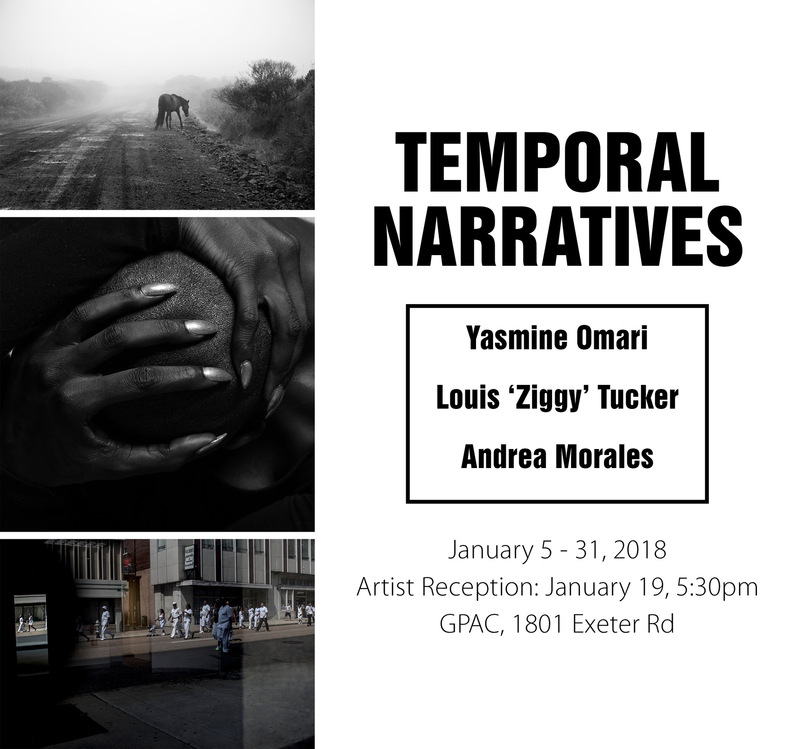 Temporal Narratives is an exhibition of works from three Memphis-based photographers: Yasmine Omari, Andrea Morales and Louis “Ziggy” Tucker. Each brings their own perspectives and interpretations to the theme while collectively exploring the idea of narratives being intentionally and unintentionally constructed. Yasmine Omari’s photographs show contemplative isolation and longing within the frame of personal memory and place. Andrea Morales brings a photojournalist’s perspective through her engagement with communities while exploring the idea of time as a social construct. Louis Tucker creates abstract narratives using converging lines and the human body depicted within urban spaces and fluid environments. More photos from the artist reception.